Women of the Moose spread Holiday cheer! 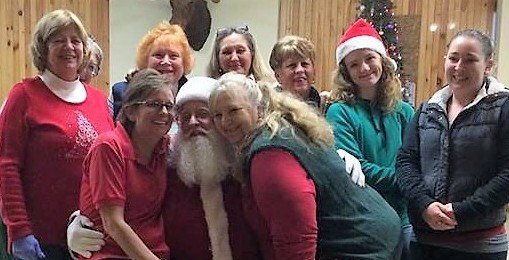 Pictured are Women of the Moose members with Santa Claus (photo provided). 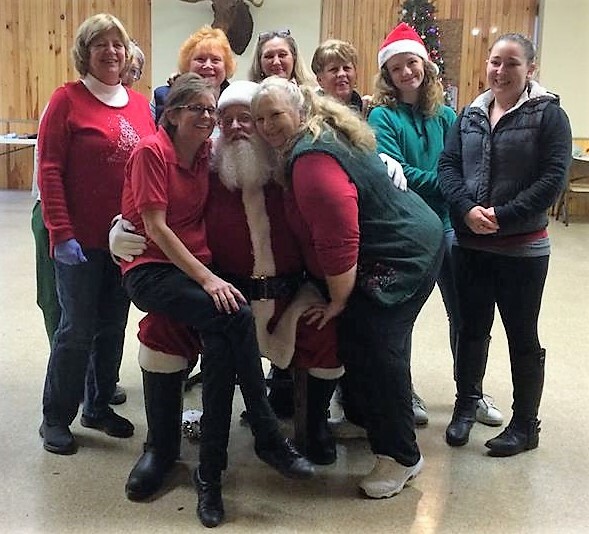 The Women of the Moose Owego Chapter 280 would like to thank everyone that supported them during the Christmas Season. Among the activities, lap blankets were donated to Riverview Nursing Home. They also sponsored a Children’s Christmas Party for over 50 children and an Adult Christmas Party to thank co-workers. In addition, they adopted two families in need of a special Christmas. This would not be possible without the support of many members of the community. The Women of the Moose especially thank Mario’s, John’s Fine Food, Bunny Beagle of Family Reading Partnership and Kim Blackwell of Toys for Tots, Christmas Chairperson Sheila Gallagher and all the co-workers who helped with gifts, preparing food, wrapping presents, doing crafts and the many “little” things that need to be done to make these events possible. One upcoming event being held by the Women of the Moose is a benefit for Jared Lamb’s Journey to the World Special Olympics on Jan. 20, 2019. Tickets and shirts are available at Jared’s Olympic Journey or contact Sheila Gallagher at (607) 972-3116. Be the first to comment on "Women of the Moose spread Holiday cheer!"